Awaken and activate those unused muscles. Engage your entire body for improved performance and results. Strength is not just about how much you can lift or how many push-ups you can do. It’s how well you can manage your own body weight through numerous positions in different ways and different directions. 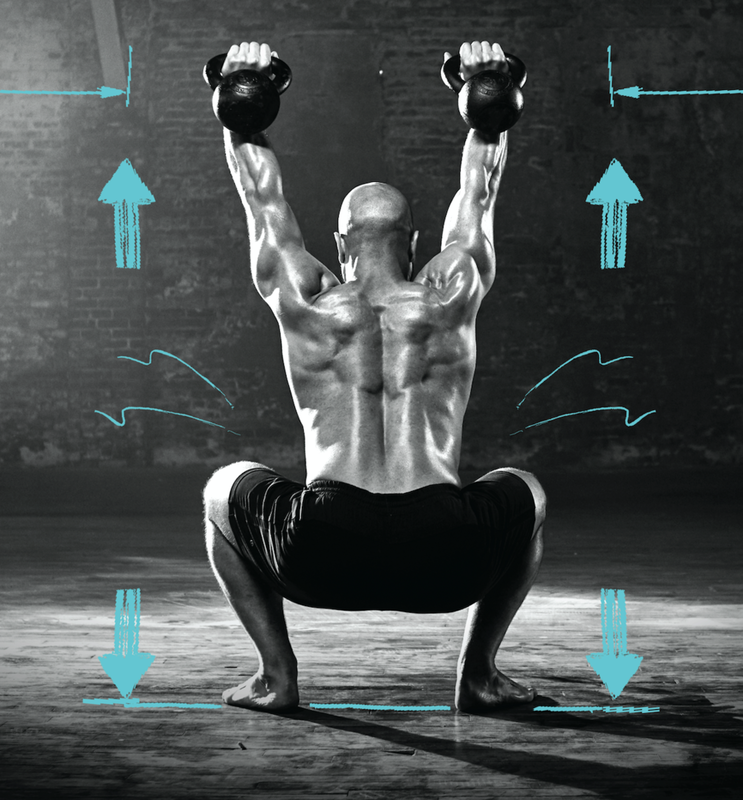 Are you as strong at the bottom of a squat as you are at the top? Can you balance on your hands? Can you articulate each part of your spine? Can you hang and pull your feet to the bar without bending your knees? Can you push-up all the way from the floor? Can you crawl or perform a back bend? Many of our ailments or discomforts and much of our weight gain comes from lack of a relevant movement practice—spending too much time on certain parts of the body while ignoring others. allows you to move in new ways. We all know we need to stretch but, in actuality, we rarely do. No matter the level of fitness, modern forms of stretching and flexibility training fall short in teaching people how to stretch in the most effective manner. This critical lack of knowledge results in lackluster improvements. The general practice of loosely holding or leaning in a stretch-like position for thirty seconds or less is ineffective to offset the disproportionate amount of physical inactivity throughout daily life. The less we move, the more brittle and rigid our bodies become, and the more we need to actively develop our flexibility. Active flexibility training involves “actively” pulling your muscles into a stretch. This utilizes your strength and flexibility in harmony. In other words, when properly stretching one muscle, you actively engage the opposing muscle to improve the outcome of the stretch. Strength is not only about body building. The old saying, ‘No pain, no gain,’ is FALSE. By developing the stabilizing muscles in conjunction with connective tissues, the joints and limbs are better able to resist the forces placed on them. Like bamboo, the body becomes bullet-proof and develops flexural strength (the ability to bend without breaking). Most elbow, shoulder, wrist and hand pains or weakness can all be resolved by developing the smaller muscles and connective structures around the joints. Most conventional training or exercise programs disregard these nuanced yet critical parts of the body. At Will Space, we address what the body most craves: symmetry and balance. We develop coordination and body control by implementing Straight-arm and End Range Protocols; a non-conventional approach to gain long-lasting results. Our coaches are here to share our years of fitness expertise. Achieve your goals with us and join the Will Space Movement!